Central air-conditioning units can bring a new level of comfort to your home. If you’re looking for a new AC unit, you’ll find energy efficient models that will cost less on your utility bill every month. Buying the biggest and most efficient model usually isn’t the right move because those aren't the only two factors to consider when you compare central air-conditioning units. The best way to shop is to determine how long it will take to recover the amount you spend on the AC in energy savings. Price indoor and outdoor components when you shop for central air-conditioners so you know future replacement costs. The compressor and the condenser coil are outdoor components, and the evaporator coil is an indoor component. At some point, you will need to replace some of these parts. If possible, you will want to replace all the parts at the same time. Manufacturers design their parts to work together, and using new parts combined with old parts could mean you don’t get as much efficiency. Look at the SEER, or Seasonal Energy Efficiency Rating, of each air-conditioner and the Energy Guide rating listed on the yellow tag on the appliance to compare energy costs. Compare similar models with the same features you want. The Consortium for Energy Efficiency (see Resources) will also help you compare energy efficient models. Add the total annual savings to determine how quickly you will recover the cost of a new AC unit. 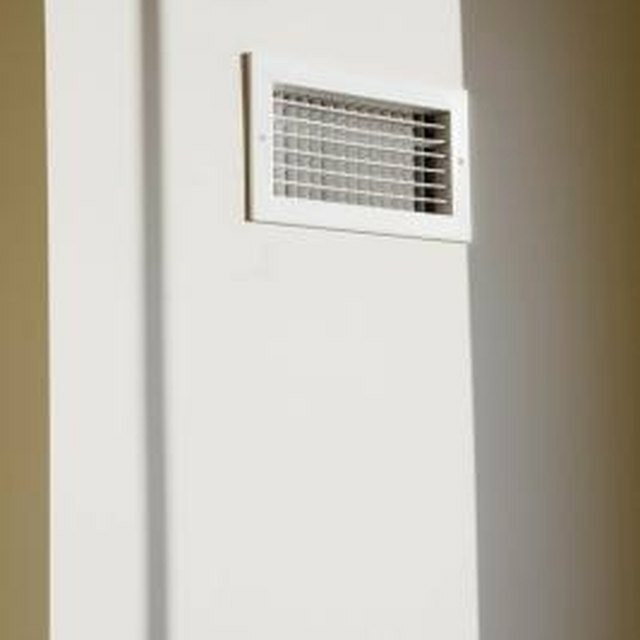 If you are replacing an old AC unit, use the yellow Energy Guide rating to determine the average annual energy costs for the new air conditioner. Then compare it to your current utility bill. Determine your expected monthly savings, then divide that into the total cost of the air conditioner. Some high-efficiency air-conditioning units cost so much that you will never see a return on your money. Hire a licensed HVAC contractor to measure the size of your house, how many levels it has, the quality of your windows and your insulation, and your local energy rates to determine which size air-conditioner is right for your house. Ask about installation costs up front, what contractors include in the installation price and if the price varies depending on the model of AC unit. For example, ask if the price includes new wiring or pouring a new concrete slab outside for the unit to sit on. Whether you have existing ductwork will change the price significantly. Read warranties when you compare central air-conditioning units. The typical air-conditioner warranty is five years for the compressor and one year for the coils. However, some companies are beefing up warranties. You may find a lifetime warranty on a compressor. Ask about current promotions from the HVAC dealer or manufacturer. You may get a percentage off your purchase, free service checks for a year or even a free heater if you ask. Also, look at rebates offered through your utility company and tax incentives. Buying a new AC unit that’s too small for your house will cause your unit to run frequently and even freeze up on warm days. Buying a new AC unit that’s too large will waste energy, and the AC unit will have a hard time maintaining temperature and humidity because it cycles on and off so frequently. Shop for central air-conditioners that produce low noise levels. You may pay extra for this feature, but it’s worth it if you or your neighbors easily notice the sound of your air-conditioner running. If you register your new air-conditioner online, you may be able to extend a five-year warranty to a 10-year warranty. What Are the Functions of a HVAC Compressor Fan?